Ryan Adams’ Taylor Swift cover album: Singer-songwriter announces full-album tribute to 1989, shares preview (VIDEO). Ryan Adams Says He’s Recording Covers of All of Taylor Swift’s 1989. Here’s a Preview. One-man cover band Ryan Adams. 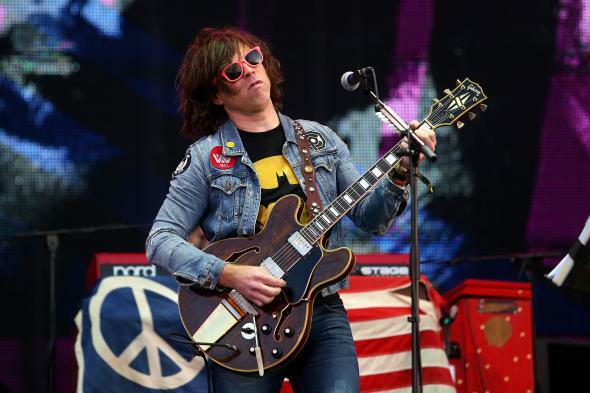 Prolific singer-songwriter Ryan Adams is best known for his emotionally raw, country-tinged original ballads. But he’s also got a knack for covering other artists’ compositions—his haunting version of “Wonderwall” led Oasis’ Noel Gallagher to say, “I think Ryan Adams is the only person who ever got that song right.” And a more recent cover of Bryan Adams’ “Summer of ’69” in front of a Nashville audience brought down the house. Now, Adams is covering a singer with a country past of her own: Taylor Swift. Today Adams announced on Twitter and Instagram that he’s recording a cover of her hit 2014 album 1989. The 28-second clip of “Welcome to New York” that Adams shared sounds like a big improvement over the original: With heavy guitar backing and Springsteenian vocal harmonies, Adams makes 1989’s weakest track sound like a bona-fide rock anthem.